Owned by their parent organization, The Swatch Group, Longines has made a name for themselves. Having one of the oldest unchanged (and still active) logos, the Swiss luxury watchmaking company knows a thing or two about classics. Founded in 1832, Auguste Agassiz and his partners started by making pocket watches. By 1846, the luxury watches were making their way successfully into the United States. Amongst their many models, Heritage is one of the most popular. 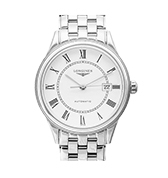 Longines is a Swiss luxury watchmaker based in Saint-Imier in Switzerland. It was founded by Auguste Agassiz in 1832. 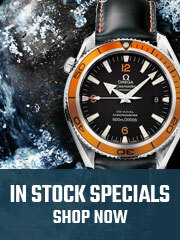 Its watchmaking expertise highlights a strong devotion to tradition, elegance, and performance. Its logo is a winged hourglass, which is the oldest unchanged, still active registered trademark. 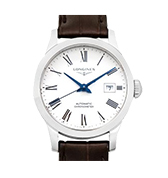 Longines is a part of the Swatch Group Ltd, which is the world's leading manufacturer of horological products. They are recognized through their refinement in design, which is visible in almost all their collections. 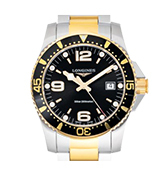 Vintage Longines legend diver is a modern watch produces with effortless style and sophistication. The Legend Diver's 42 mm case, the engraving on the case's back, and the two hatched crowns are reminiscent of its ancestors. It also features a black glossy dial. To make the watch a little more modern, a date window has been added (the first series of the modern Legend Diver did not have a date window). Both modern versions went for more secure screw-down crowns, versus non-screwed down crowns of the original model. The lugs are also downward-angled, so they wrap firmly around the wrist. And it copes well underwater as it is water resistant up to 300 meters. It is an iconic Legend men’s watch, and this stainless-steel model belongs to the Elegant family as one of Longines hero timepieces. 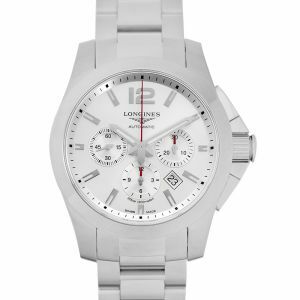 This watch has a diameter of 37mm, along with a refined white dial. The date aperture and Roman numeral markers contribute to an exceptional watch. It is a perfect timepiece that can adapt to both casual and formal attire. 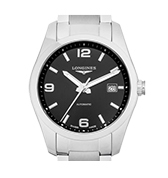 The Longines Avigation BigEye comes in a 41mm steel case that has a luminous effect to it. The case has subtle polished elements that catch your eye and hold your attention. The lugs are pretty thick and beefy, that drop downwards dramatically from the case. Being an automatic chronograph, it is about 14.3mm thick including the domed sapphire. It has an oversized crown, and the pushers extend delicately from the case. It has a deep matte black dial and contrasting silvery white lumed hands. This watch has a brown leather strap with a signed buckle. Overall it is a unique timepiece that holds your attention the moment you see it. 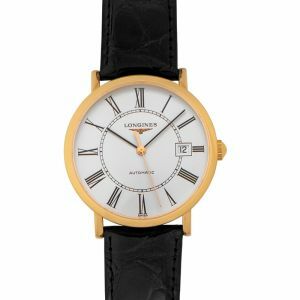 The Longines Heritage comes with a luxury leather strap and gold arrow markers. 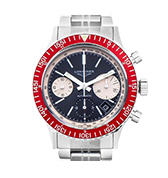 It is 35mm in diameter and is water resistant up to 30m.This watch features a scratch resistant sapphire crystal glass and a stainless-steel case. It is a dress watch that will make you stand out in the crowd. 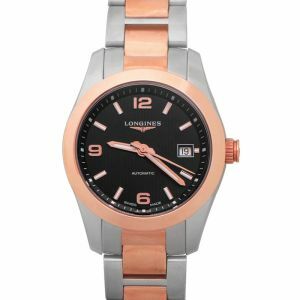 The Longines Presence in rose gold is a truly timeless choice. 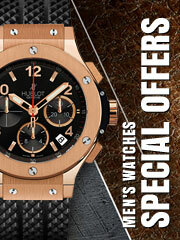 It features an 18kt rose gold case with a brown alligator leather strap. Also, it has a fixed 18kt rose gold bezel. 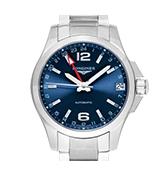 There is a silver dial with blue hands and Arabic numeral hour markers. The minute markers are around the outer rim. The watch is simple yet classic with a white dial which is analog. 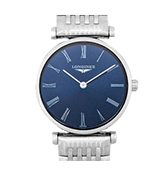 This one of Longines automatic watches is made of sapphire crystal, which protects it from getting any scratches. The watch has a round case with the case size being 34mm and has a pull/push crown. The watch is water resistant up to 30 meters / 100 feet. 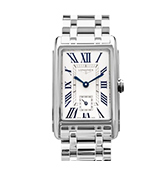 It also has a date aperture, Roman numerals, and the instantly identifiable Longines logo. The case-back is completely transparent allowing you to see every inch of the inner craftsmanship. It's a perfect watch that makes a statement and makes the wearer look very attractive. With an exquisite linear patterned black dial, this watch strikes the right note in the style department. It is made of stainless steel and has an 18-k pink gold case of 41 mm diameter. The applied Arabic numerals and hour hands in pink gold have been coated with a luminescent element that allows you to read time in the dark. The transparent case back displays the intricate movement of the watch, and the dial is protected from scratches with the help of a sapphire crystal. It also has a power reserve of 54 hours. 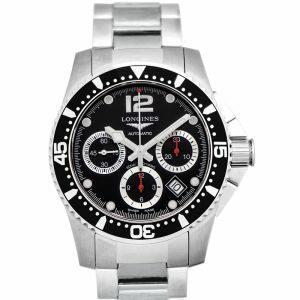 It is a brilliant creation from the house of Longines and is perfect from each aspect. This model is an absolute beauty. The elegant timepiece has an 18-karat gold-tone stainless steel case and has a supple leather band. 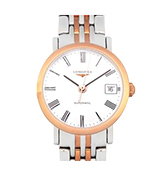 It is embedded and crafted with excellent Quartz movement to provide accuracy. The watch is made with a durable and scratch-resistant sapphire crystal that preserves clarity. 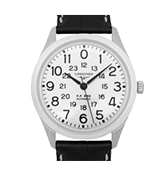 It features a white dial with luminous black hands and a Roman numeral hour marker. The simple and clean lights give it an elegant feel and make it very stylish as well. This watch could probably last a lifetime with proper care and maintenance. 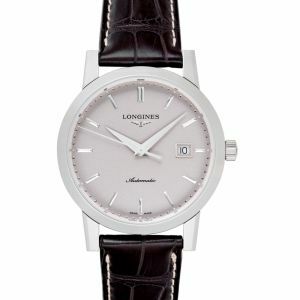 Longines is one of those brands that doesn’t nearly get enough recognition for what they’ve produced. 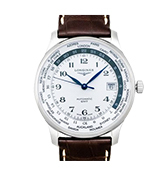 Longines was founded in Switzerland in 1832, but their watches are worn by watch lovers worldwide. They approach watchmaking with elegance and sophistication through their collections like the popular Conquest, La Grande Classique, HydroConquest and of course the Heritage.